Guests room - "Chambre aux Lys"
The Chambre Aux Lys is a cozy room that opens onto the vineyard of the Logis de l’Astrée. 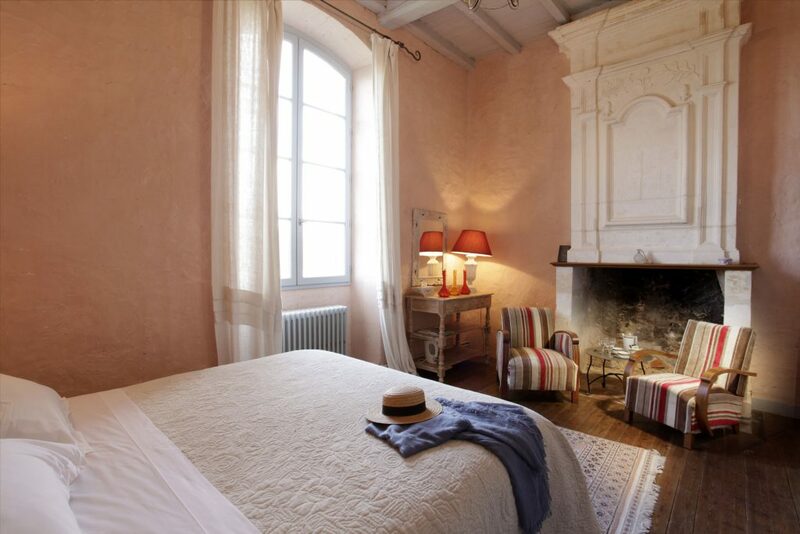 This room owes its name to the symbol of french royalty, the fleur de lys, initially present on the fireplace. Symbol then too bright of a time in the process of disappearing, the lily adorning the fireplace are trimmed to the Revolution. The lily flower has reappeared this time on the drapes and the headboard as a nod to history. You may also be surprised by its high ceiling and appreciate the large volumes that emerge. 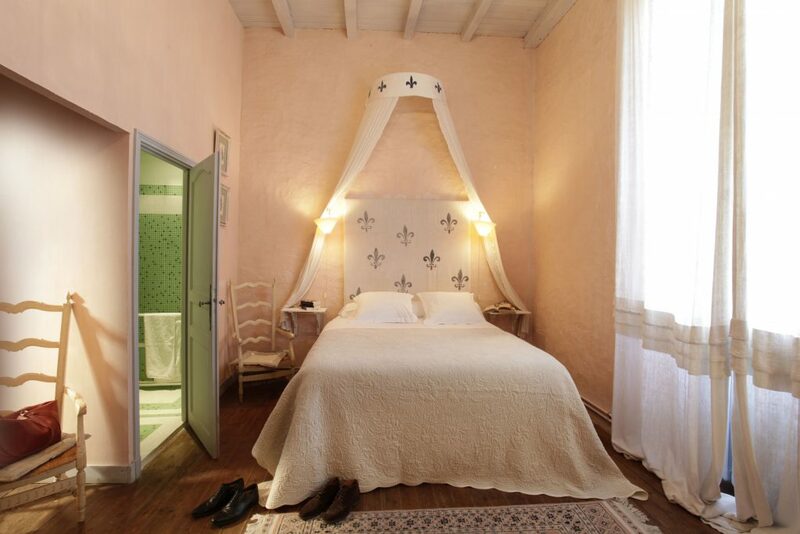 Large drapes of old sheets and warm fabrics associated with the soft pink of his whitewashes make this room a perfect place for relaxation and daydreaming. 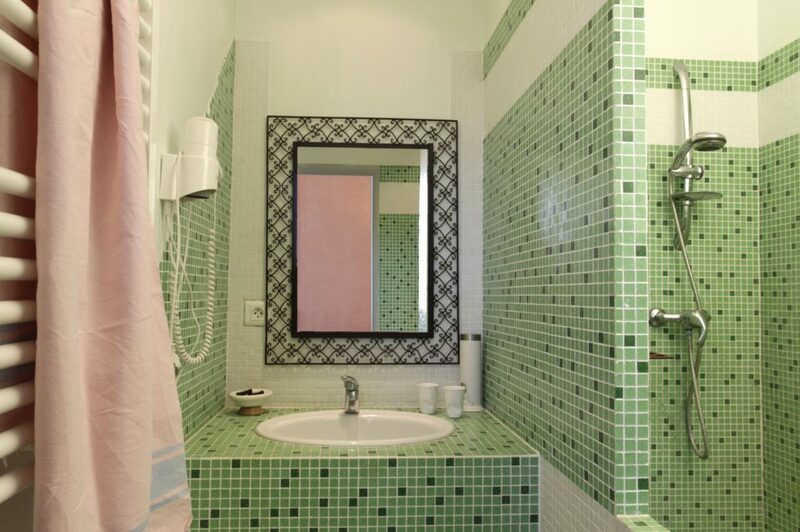 As for the bathroom fitted in this room during its restoration, it has a walk-in shower for your comfort. We can add to this room an extra bed for a child or a cot.